Buying a home is one of the biggest decisions we can make in life. It is our single largest commitment in our lifetime. However, for people who are not financially ready, the process of obtaining the right type of home loan from banks is always a challenging task. If you can’t get proper financing, you may end up paying thousands in interest payment alone to the banks. If you will not take time to avoid these mortgage mistakes or if you have not been educated on what you should be doing to take control of your destiny as far as getting a home loan is concerned, you will end up losing your hard-earned money in the process. If you are planning to invest, structuring a mortgage financing correctly is an even more difficult task because this may mean the difference between profit and loss. Below are the most common home loan mistakes that you need to avoid. 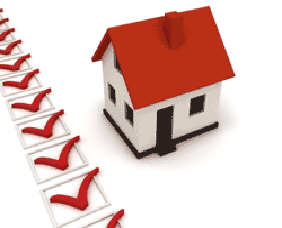 Also check this checklist for home buyers by the Department of building and housing NZ. This is the first most common mistake that many consumers make. You need to know your credit history even before your Mortgage Professional denies your application. Most people don’t know that there are mistakes on their credit report which end them up getting higher loan fees, taking higher interest rate or worst, disqualify their application. But there is still hope and that is if you will know your credit history. You can get your copy of it online once a year. You need to review your credit report every year. When you find credit issues and you decided to correct them, then it is a good idea to sign up for a paid service that will allow you to access your credit report more frequently so that you will be able to see the progress in your credit history. This is the second most common mistake that many consumers looking for mortgage loan make. You should know that lenders vary in many ways. First of all, they vary in the amount of service they provide. They also vary in the level of accountability and their level of expertise. So as a rule of thumb, you need to interview at least three lenders. Make sure that you are comfortable with the lender that you decided to choose as well as their loan process, rates and fees. Make sure also that you know how experienced they are not only as a loan originator but also for the type of loan you are requesting. Some mortgage lenders also suggest that their borrowers purchase mortgage insurance to protect them if the borrower is unable to pay the mortgage. Yes it is a wise decision to compare the lenders’ rates but you should not decide on that factor alone. You should be aware on the possibilities that though they may offer the best rates and fees, they may also short charge you on service. When you request a rate and fee quote from several lenders for comparison, make sure to do the request on the same day and at the same time of that day. This is because the rates may fluctuate and change during the day so to get a more valid comparison, make sure to request for them at the same time and day. This shall also give you a good idea of the lender’s service level.